This lovely floral wreath combines roses in delicate shades including purple, pink, white and peach roses. 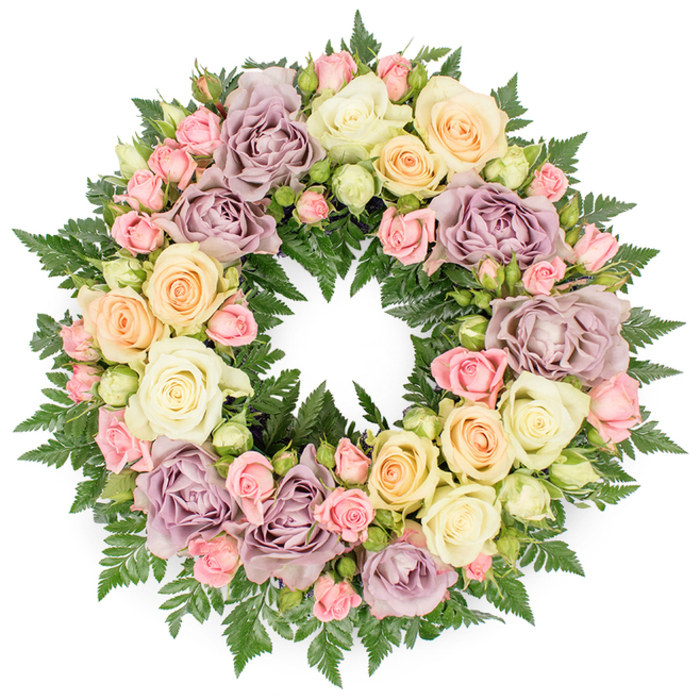 Funeral wreaths are a classic way to honour the life of someone very close to your heart and offer your support to the grieving family. 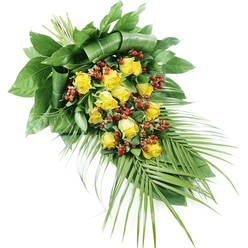 It was a beautiful experience ordering from your service. The wreaths were just perfect. 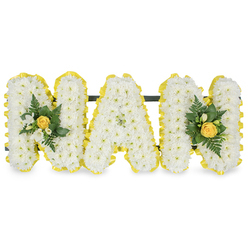 A great selection of funeral wreaths. 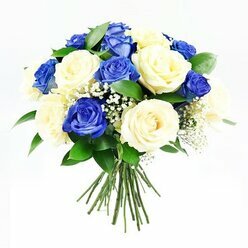 Would use Handy Flowers again. 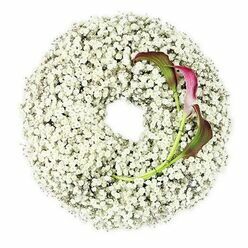 The wreath was made from the freshest flowers, thanks a lot for everything! 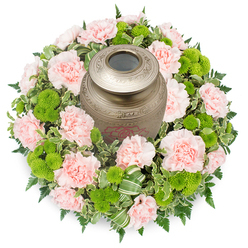 The company did a wonderful job arranging the flowers for my uncle's funeral. 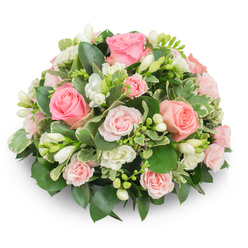 Recommend them to anyone in need of funeral flowers. The memorial flowers were absolutely stunning! It was so nice of them to offer me a free card and add a beautiful message in it. The delivery was also prompt. Your help is much appreciated! Thank you for the lovely wreath!